If someone asked you to name the three greatest civilizations of the ancient world, you would probably cite the Egyptians, the Greeks and the Romans – and you would probably think of them as sequential, each supplanting the previous. But taking the long view of history, no civilization before or since, not even China, compares to ancient Egypt for durability. Even if you leave out the Predynastic Period, when powerful kings ruled Upper and Lower Egypt separately, and start tracking it at the point where the kingdoms were united, circa 3150 BCE, that’s three millennia of a phenomenally successful civilization: half again as long as the time that has elapsed since the final Ptolemaic Dynasty sank in the Battle of Actium. Most people just can’t get their brains around how long a run of world dominance that was. Admittedly, those 3,100 years were occasionally punctuated by wars and famines and squabbling over who had the best claim to rule. But, blessed by the reliable annual inundation of the Nile with extraordinary fertility and protected from invading armies by thousands of daunting miles of surrounding desert, Egypt was usually a safe and prosperous place to live. Men and women, rich and poor were regarded as equal under the law; artisans could better their economic status and slaves could save up and buy their freedom. Rulers left inscriptions bragging how women could travel unmolested on any road in the realm without a guard. Harvests plentiful enough to exceed Egypt’s own needs, plus a navigable central waterway leading to the Mediterranean, fostered trade with the rest of the ancient world and a long efflorescence of fine arts and sciences. The ancient Egyptians were meticulous recordkeepers, supporting a huge class of scribes who for century upon century dutifully documented legal cases on clay tablets, many of which survived. So we know that one of the ruler’s daily duties was to preside over the Great Kenbet or supreme court, and that even the poorest farmer could (and often did) bring a small claims case before the local kenbet or council of elders for adjudication. We may think of ourselves as an overly litigious society today, but for the ancient Egyptians, arguing over who owned the dates growing on a palm tree straddling a property line was what you did for entertainment instead of watching TV. One would hope that the average modern Egyptian appreciates this astonishing cultural and legal legacy far better than Americans do, despite the fact that it was the manifestation of a pagan pre-Islamic civilization. But just knowing how long and rich was the past of this country makes it all the more painful to watch what has been happening in Egypt over the past three years. The Arab Spring of 2011, which lifted hearts around the globe as a social-media-fueled popular uprising overthrew the entrenched, repressive, corruption-ridden Mubarak regime and ended a three-decade official state of emergency, came crashing back down within 18 months. Though democratically elected, president Mohamed Morsi quickly enraged a largely Westernized populace once more by imposing harsh Islamic law, only to be overthrown in a military coup in July of 2013. Military coups sometimes restore badly needed order in chaotic situations, but rarely if ever have been known to lead to better living conditions for the poor or greater political freedoms in the long run. Morsi’s Muslim Brotherhood party was outlawed, and the Egyptian military has cracked down severely on dissent of any kind – including by those who criticized Morsi’s excesses, if they also criticize the subsequent excesses of the armed forces. This past January, one internationally respected expert on the history, politics and law of the Islamic world – Egyptian scholar Emad Shahin, a professor of Public Policy at the American University in Cairo – was inexplicably tarred with the same brush as the Muslim Brotherhood, despite the fact that he had been among its critics. Along with several other prominent intellectuals, he was forced to flee the country. He now lives and works in the US, and will be giving a free talk at Vassar on Thursday evening, November 13, on the political climate of the Middle East since the ousting of Hosni Mubarak in 2011. 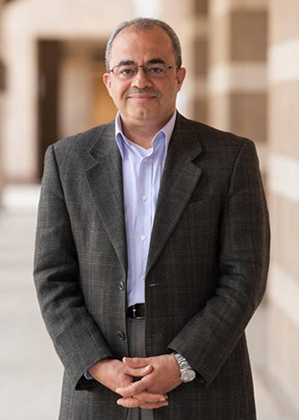 Upon arrival, Shahin was immediately recruited as a Public Policy scholar at the Woodrow Wilson Center in Washington, DC and a visiting professor at Georgetown University. No stranger to American academia, in the past he has taught at Harvard and Notre Dame. He also edited the Oxford Encyclopedia of Islam and Politics. He’s a heavy hitter, and this lecture should not be missed by anyone who cares about the escalating state of unrest in the Middle East and wants to understand its inner workings better. If a peasant in Egypt in 2000 BCE could complain to the vizier about a stolen cow without fear of retribution, shouldn’t freedom to protest a wrong be a matter of deep cultural pride for Egyptians today? Perhaps the Arab Spring has not been blasted entirely, but is only a temporary setback in the long evolution of a new safe, stable and prosperous Egypt. Find out what obstacles impede progress today and what hope there may be for the future of “The Middle East beyond the Arab Spring” on November 13. 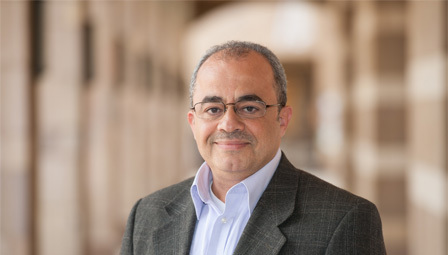 Emad Shahin’s lecture begins at 7 p.m. in Room 300 of Rockefeller Hall. This event is sponsored by the World Affairs Council with co-sponsorship from Vassar’s Department of Political Science and the Programs in Africana and International Studies. For more information or to make arrangements for handicapped accessibility, call Vassar’s Office of Campus Activities at (845) 437-5370. “The Middle East beyond the Arab Spring,” Emad Shahin, Thursday, November 13, 7 p.m., free, Rockefeller Hall, Room 300, Vassar College, 124 Raymond Avenue, Poughkeepsie; (845) 437-5370, www.vassar.edu.